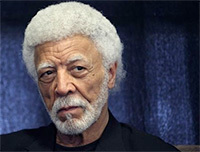 A great historical social worker, Mr. Ron Dellums, 82, passed away July 30, 2018. With the passage of the GOP tax bill, look for the GOP Congress to lead in 2018 with cuts to health and social programs to offset the cost of tax breaks for corporations and the wealthy. For several of my columns since last November’s election, I’ve encouraged conversations with Republicans, particularly Trump supporters. Based on a National Public Radio interview with Senator Ron Johnson (R-Wisconsin), I’ve constructed the following imaginary conversation on health care.